Author: Sklepowich, Edward Set In . 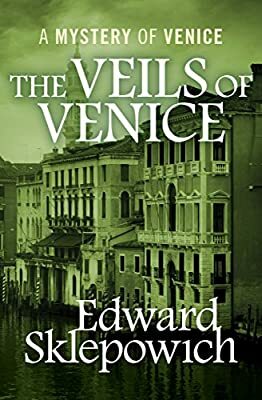 . .
As snow falls on Venice, turning the city into an elaborate gothic confection, Gaby Pindar fears for her life. Crippled by intense agoraphobia, she hasn’t left her family home in two decades, instead dedicating herself to tending to the small collection of historical trinkets that make up the family museum. When she begins receiving death threats, she begs for help from her cousin, the Contessa da Capo-Zendrini, whose friend Urbino Macintyre is something of an amateur sleuth. But the search takes a gruesome turn when Gaby’s sister, Olimpia, turns up dead. The contessa finds Olimpia murdered in her home, the maid kneeling above her with a bloody pair of scissors. Convinced of the maid’s innocence, Macintyre digs into the Pindar family history, discovering centuries’ worth of intrigue that have finally erupted in blood.